For over 30 years we have been providing specialist dry cleaning services in London. Through a combination of investment in the latest technology, using the best available solvents and chemicals and by employing skilled employees we provide an unrivalled level of performance and service. We have over 100 years of combined dry cleaning experience between us and we believe this provides you with access to a true value added service. Our business was established as specialist dry cleaners to the theatrical, film and tv world. This experience differentiates us from most dry cleaners as it means that attention to detail is at the crux of what we do. It is also why leading shows such as Cameron Mackintosh's Miss Saigon chose us for all their dry cleaning from the first curtain to the last. also provide a free local collection and delivery service for your convenience. 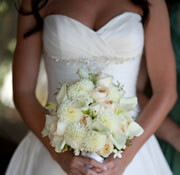 services include wedding dress cleaning, curtain cleaning and a hand finished laundry service. We are also able to provide on-site repairs and alterations, including fittings.